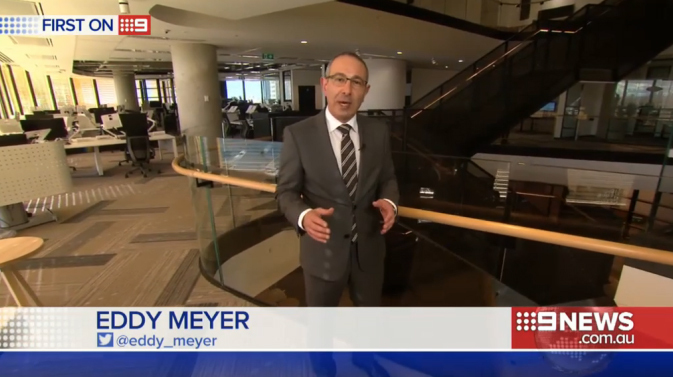 Davenport Campbell’s design of Mirvac’s new innovative workplace headquarters at 200 George Street, Sydney was recently featured in a special report on the Nine Network’s TV News. Mirvac HQ is part of the innovative EY Centre and features 7000 sqm of cutting edge technology and workplace design for the company’s 620 employees. The EY Centre is one of the first new office towers in the rejuvenation of the Circular Quay business precinct. The Mirvac HQ workspace is designed to foster an agile working culture where employees can collaborate in teams for creative brainstorming, break out in small groups to progress projects or find quiet spaces to reflect and reenergise. Employees can choose to work at standing desks, huddle small group tables or in find private areas to work on focus tasks.